Tasman Oncology Research Ltd is a patient focused research company dedicated to conducting clinical trials to help both insured and uninsured patients gain access to new oncology pharmaceuticals only accessible or affordable through a trial opportunity. Tasman Oncology Research is a well-resourced and well-published clinical trials unit; with a team of five clinical trial-coordinators and two data entry staff with their their own dedicated suite next to the day infusion unit. Tasman Oncology Research Ltd is a patient focused research company dedicated to conducting clinical trials to help both insured and uninsured patients gain access to new oncology pharmaceuticals only accessible or affordable through a trial opportunity. All trial related consultations and procedures are provided at no cost to the patient. 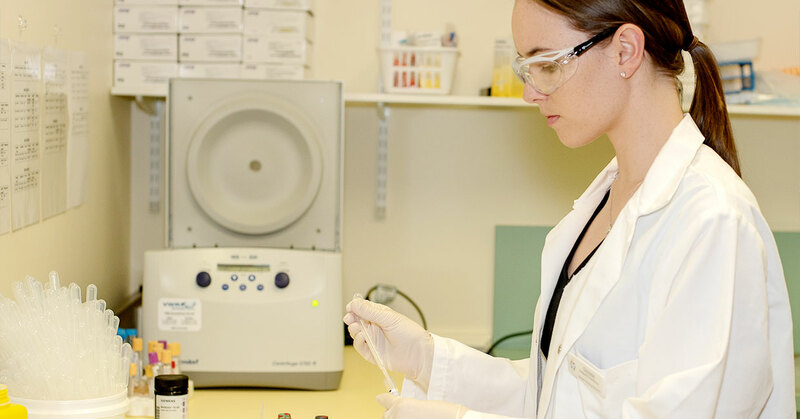 All research conducted by the Tasman Oncology Research is conducted in accordance with applicable regulatory requirements and the internationally recognised standards of Good Clinical Practice. If you would like more information regarding clinical trial opportunities, please speak with your doctor or one of our research coordinators. The coordinators can be reached directly on (07) 5613 2484, or research@tasmanhealthcare.com.au. Tasman Oncology Research brings together an experienced team of research coordinators, nurses, data managers and scientists to support an advanced clinical trial unit. Our clinical trials unit is staffed by a highly qualified group of research coordinators who are certified in Good Clinical Practice through ARCS Australia and also hold IATA certification for the transportation of dangerous goods. All coordinators have extensive experience using IVRS/IWRS and eCRF systems. We have a dedicated Quality Manager on team ensuring compliance with ICH-GCP guidelines, TGA regulations, sponsor requirements, protocol requirements and Tasman Health Care SOPs. We have a strong working relationship with Bellberry HREC for efficient study start-up timelines and lead site responsibilities. Staff are familiar and have up-to-date training in several eCRF platforms including InForm, Medidata RAVE, Oracle RDC and eClinical OS. They are collectively experienced in using patient electronic diaries and imaging transfer software including AGMedNet and Bioclinica. In addition, the research coordinators have laboratory experience and are competent in all aspects of specimen collection, preparation, handling and shipping. Tasman Oncology Research views continual education and training as a key investment strategy. Therefore we ensure staff are qualified to perform procedures through ongoing training and professional development. All investigators, sub-investigators and clinical research staff attend both internal and external compulsory training, as well as undertaking further education specific to the nature of this work. Our monthly quality meetings monitor the need for training and Clinical Research staff conduct regular in-services on the requirements and conduct of clinical research. In particular the specific requirements of individual studies for staff from other departments involved in the conduct of clinical research. A Phase I/2a Dose Escalation and Cohort Expansion Study of the Safety, Tolerability, and Efficacy of Anti-LAG-3 Monoclonal Antibody (BMS-986016) Administered Alone and in Combination With Anti-PD-1 Monoclonal Antibody (Nivolumab, BMS-936558) in Advanced Solid Tumors. Please contact our research rooms on (07) 5613 2484 for further information, or follow the clinicaltrials.gov hyperlink for each particular study. Efficacy and safety results from a phase III trial of nivolumab (NIVO) alone or combined with ipilimumab (IPI) versus IPI alone in treatment-naive patients (pts) with advanced melanoma (MEL) (CheckMate 067). Nivolumab in patients with DNA mismatch repair deficient/microsatellite instability high metastatic colorectal cancer: Update from CheckMate 142. Nivolumab ± ipilimumab in treatment (tx) of patients (pts) with metastatic colorectal cancer (mCRC) with and without high microsatellite instability (MSI-H): CheckMate-142 interim results. Updated results from a phase III trial of nivolumab (NIVO) combined with ipilimumab (IPI) in treatment-naive patients (pts) with advanced melanoma (MEL) (CheckMate 067). Pembrolizumab (pembro) plus ipilimumab (ipi) for advanced melanoma: Results of the KEYNOTE-029 expansion cohort.